The Mirror Family will be available in our showroom from February. Turn driving into pure pleasure with a 7” TFT instrument cluster and black fabric seats upholstery with white details. 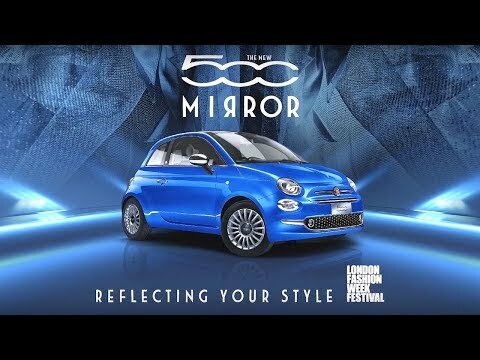 The 500 Mirror also comes with a special edition badge, 16” alloy wheels and chrome-finished door mirror covers. Cruise around in style with satin chrome finished door mirror covers, 17” Matt black alloy wheels, satin chrome inserts on tail lamps, fog lamps, logo bezel, side mouldings, tailgate handle and Bi-Xenon headlights. The 500X Mirror also comes in exclusive Matt Blue Jeans dashboard fascia and upholstery with blue stitching. The big and bold 500L Mirror comes equipped with chrome finished door mirror covers (unless Grey roof is selected), chrome inserts (front and rear bumpers and side mouldings), fog lights and body-coloured dashboard. Welcome to BS Marson and Sons Ltd. To optimise your experience, cookie settings on the website are set to allow all cookies. By continuing your journey throughout the website, you consent to this. You can change these settings here. Finance Disclosure BS Marson & Sons are authorised and regulated by the Financial Conduct Authority under reference number 312304. Finance Subject to status. Other offers may be available but cannot be used in conjunction with this offer. We work with a number of carefully selected credit providers who may be able to offer you finance for your purchase. We are only able to offer finance products from these providers.